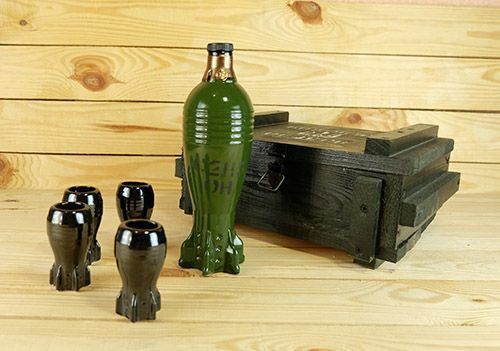 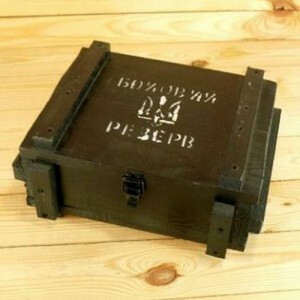 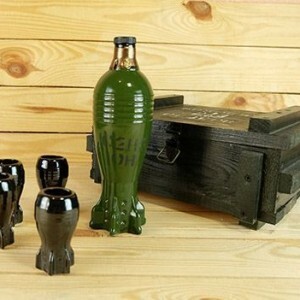 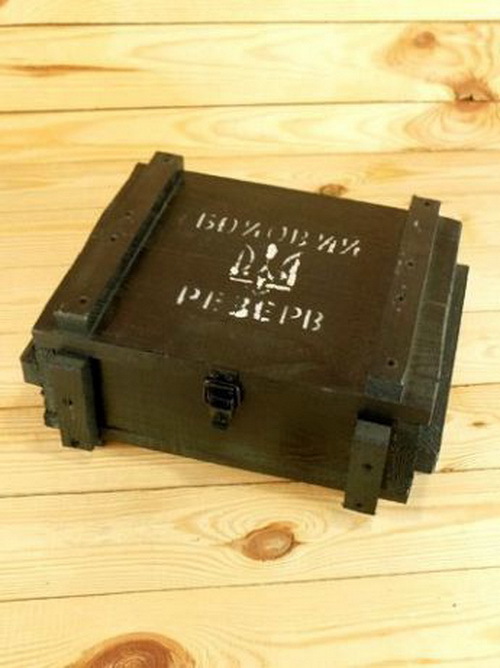 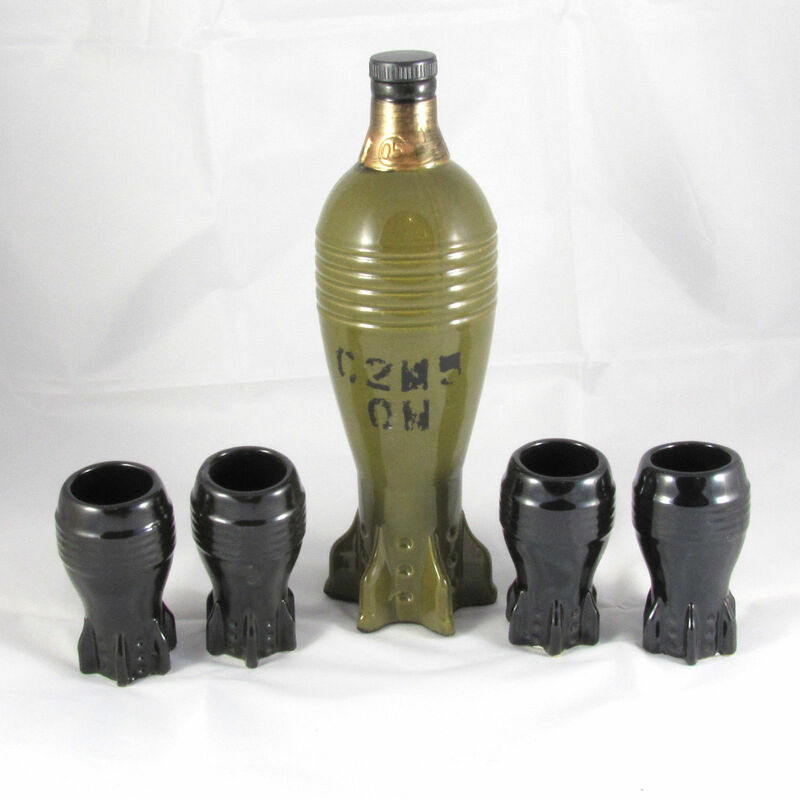 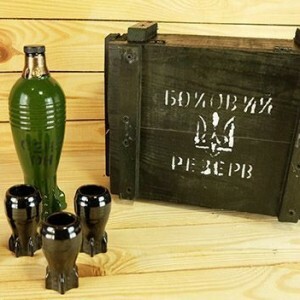 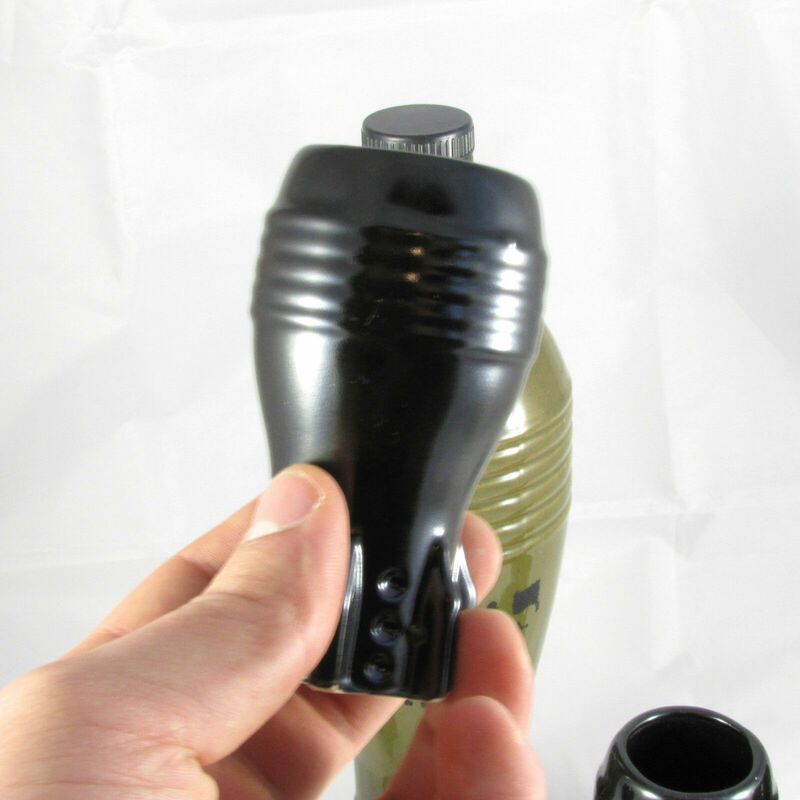 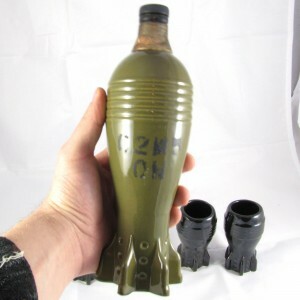 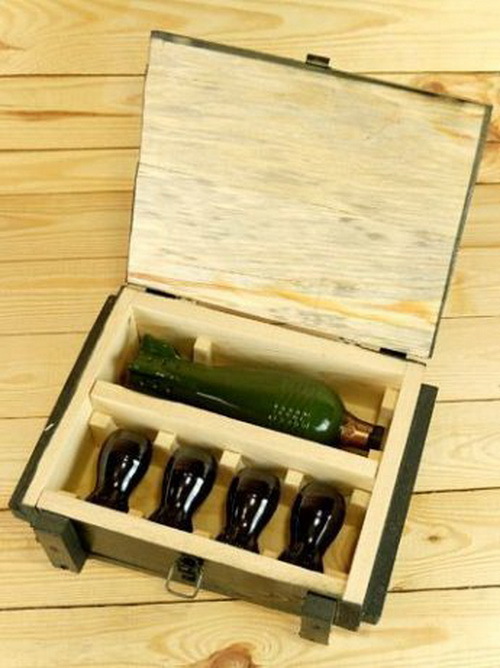 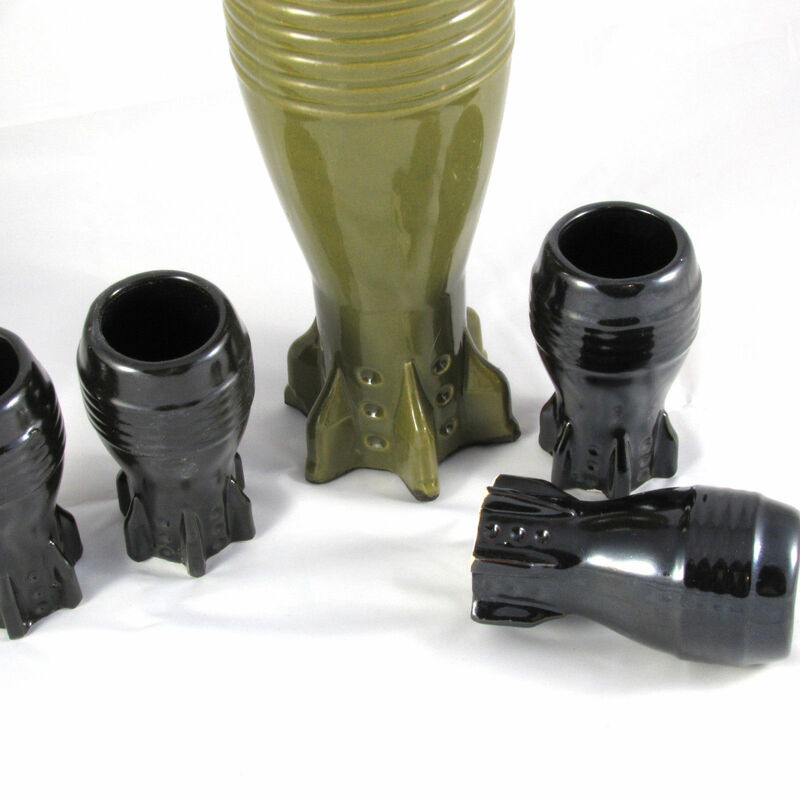 Gift set for men «Battle Reserve» is a bottle for alcohol and glasses in the form of a battle mine, packed in a special wooden box, as in the army, traditionally painted in green. 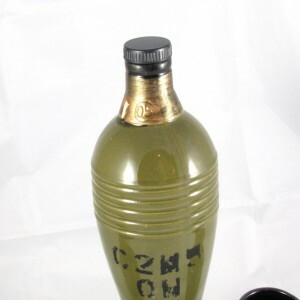 A 0.5 liter bottle has the mark C2H5OH — this is the chemical formula of ethyl alcohol, i.e. 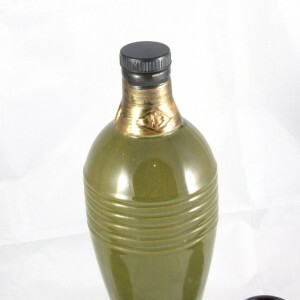 the very alcohol that we use in the form of vodka. 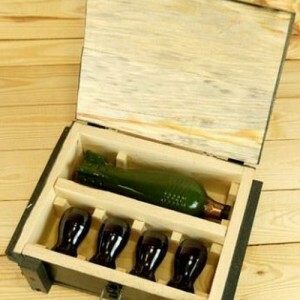 Glasses have a volume of 100 ml, 4 pieces in the set, made in the form of small min. 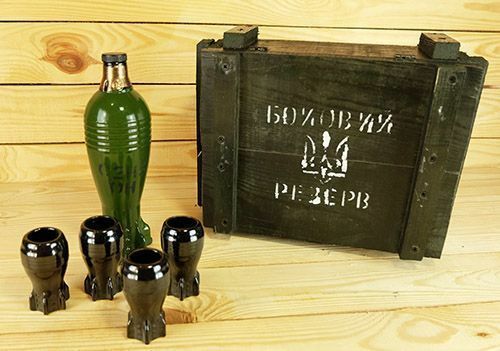 The wooden box with the size of 34 x27x 15 cm perfectly imitates a container for transporting war projectiles, mines, provisions and other army pieces.